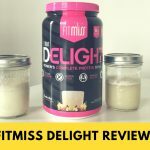 Home » FitMiss Delight Protein Powder Review — Best for Women? 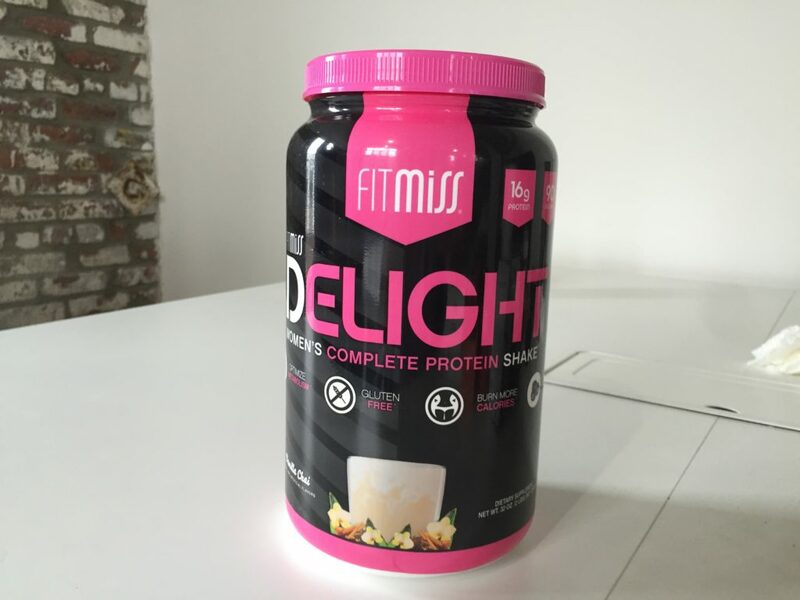 FitMiss Delight Protein Powder Review — Best for Women? FitMiss is actually part of MusclePharm, a brand perhaps best known for its line of “Combat” whey supplements (so called because they sponsor a lot of MMA fighters). But FitMiss was founded in 2008 to serve women — the website claims it is “specifically designed to meet the needs of women” — and the line includes a variety of fat burners, pre-workouts, and protein supplements. Today we’re taking a look at “FitMiss Delight,” a combination protein powder and green superfood drink. The first ingredient is whey protein concentrate followed by SolaThin™, a patented ingredient made from potatoes. Potatoes are one of the best foods for satiety, or a feeling of fullness, and SolaThin contains a protease inhibitor (PI-2) that can produce that feeling of fullness. I thought that was a pretty neat addition. Then there’s a “Greens & Superfoods” mixture that includes a variety of almost two dozen powdered fruits and vegetables including apple, broccoli, tart cherry, barley grass, and several kinds of berries. A tasty protein powder that provides ingredients for muscle recovery and satiation. After that, it contains two digestive enzymes (protease and lactase, which should minimize digestive issues from lactose), inulin (a fiber), natural & artificial flavors, cellulose gum (a thickener and stabilizer), salt, artificial sweeteners sucralose and acesulfame potassium, and soy lecithin (for mixability). 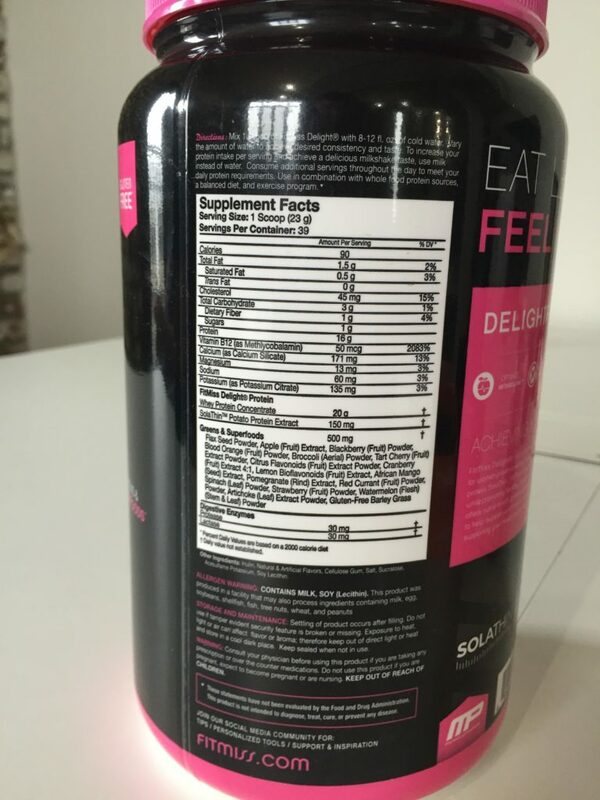 I wanted to mention the ingredients list before the nutrition info so that the rest of the review would make sense. Here are the macros in a 90-calorie scoop: 16 grams of protein, 3 grams of carbs (1 gram of fiber and 1 gram of sugar), and 1.5 grams of fat. It’s relatively low in sodium (60 milligrams) and relatively high in cholesterol (15 percent of your daily intake), but what about all those “superfoods”? What’s the vitamin and mineral content like? I feel that it’s lacking. There’s a lot of Vitamin B12 (2000 percent of your recommended daily intake) and 13 percent of your daily calcium, which would have just come from the whey. What about Vitamin C? Other B-vitamins? Vitamin A or K? Zinc? The only other information we’re given is that it contains 3 percent of your daily magnesium and potassium, which isn’t that impressive. I want to know what the point is of all those fruits and vegetables. It wasn’t reflected in the nutrition label. This could be a useful protein powder for weight loss: it’s low calorie, has some fat and fiber to increase the filling effect from the protein, and of course, there’s the SolaThin potato protein for fullness. It’s not about cramming as much protein as possible into a scoop, and FitMiss is smart for realizing there’s a market for that. It’s what the marketing focuses on: it’s not for building muscle, it’s for helping you feel full between meals. And at that, it’s done a good job. I just wish they’d put any effort into explaining the “nutritional support” that the powdered fruits and vegetables actually provide. It’s about $38 for 2 pounds, which provides 39 scoops at 97 cents a serving. That’s pretty cheap considering that it doubles as a greens powder. Most of the cheapest protein powders on the market (when they come in 2-pound tubs) are between 70 and 80 cents per serving, so while it’s a little pricier than average, I think it’s got good value for money. Unfortunately, it doesn’t mix well. It’s like the whole thing dissolves into little clumps of granules that you can feel bouncing around your mouth. I’m confused as to why it doesn’t mix well since it contains soy lecithin, and my guess is that the cause lies in the powdered greens. I tried the Vanilla Chai flavor, which is basically vanilla with nutmeg, cinnamon, and cardamom. And it was excellent. If you’re looking for a cheap whey powder, there are cheaper options out there. But if you’re looking for a cheap supplement that combines whey with greens powder, the only other competitor I can think of right now is Shakeology, which is four times more expensive per serve. Of course, Shakeology is also a lot more effective and actually lists the vitamins and minerals it contains. That’s my beef with MissFit Delight. If you want to double as a multivitamin, tell me the vitamins you contain. It doesn’t really do that. But what I do know is that it’s well-priced for any protein powder and that it’s more effective at appetite control than your standard cheap whey. If appetite control and adding some protein is what you want from your supplement, this could be a good pick.